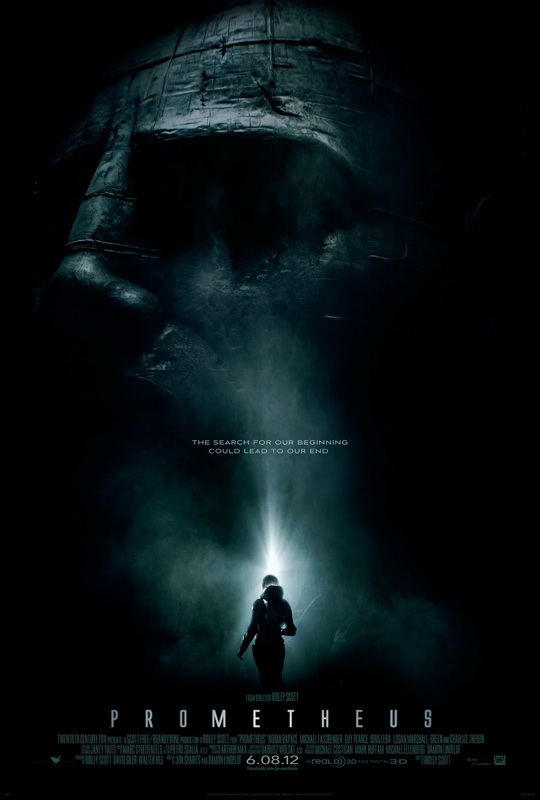 Lots of misdirection going on with Prometheus. Ridley Scott has say that it’s only a very loose prequel to the 1979 Alien. After seeing the first trailer, any fan of the original will instantly recognize tons of imagery that is directly taken from the 1979 film. This is getting to the point that we obviously know that the film makers were playing some sort of game with us. 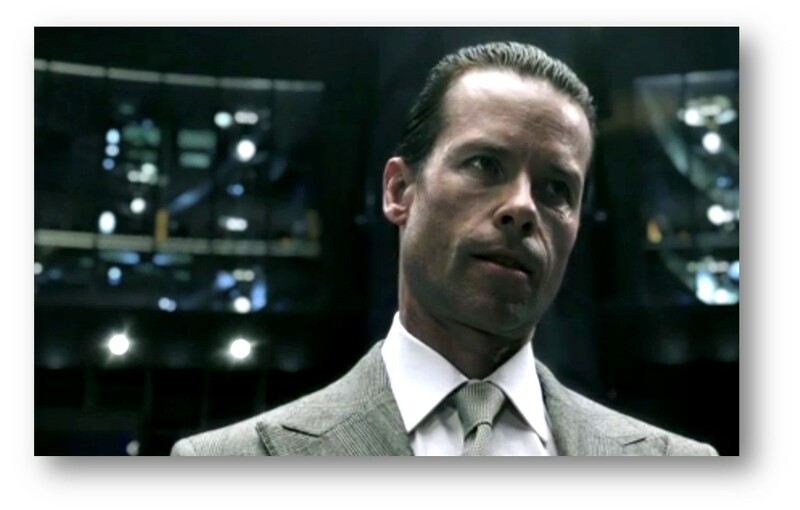 Yesterday a viral video of Guy Pearce as Peter Wayland giving a TEDtalk conference speech in 2023 popped up on line. This video will not be in the Prometheus film, but gives us a good idea that this is a direct prequel going right to the same place the original did. I really can’t wait for this film, I think it’s my most anticipated for 2012, and I love the idea of viral marketing that won’t even be in the film. Check it out below, very cool stuff. Conceived and designed by Ridley Scott and Damon Lindelof and directed by Luke Scott. How did you come to the idea of writing a TEDTalk connected to Prometheus? In really, really good science fiction the line between the science and the fiction is blurry. When I started attending TED, that line got even blurrier — I started hearing about ideas that were, in my own imagination, more far out than some of the science fiction I was seeing. Prometheus takes place in the future, but it’s a movie about ideas, and I just felt like it would be really cool to have one of the characters from the movie give a TEDTalk. Obviously, since the movie is set in the distant future, it would have to be a little more contemporary. But wouldn’t it be cool if it was a TED talk from a decade in the future? And what is a TEDTalk going to look like in 10 years? And what would this guy have to say? Then I understand you contacted Tom Rielly at TED, and started working together. What was it like working with him to construct a fictional TEDTalk? My first assumption was that TED was never going to go for it. At the end of the day, it was a cool viral piece. I never thought in my wildest dreams we would get the actual TED branding. I thought we have to end up calling it a NED talk. But Tom is every bit as much a geek as I am, and we sort of subscribe to the same sort of pop-culture influences, and he was already into what Ridley was doing. He just completely sparked the idea. I said, “l’ll write this thing, and we’ll put it in front of you guys, and if you think it’s cool, we would love to platform it at TED, and make it only viewable through TED.” Because I liked the idea of exposing a more general audience to, “Wait a minute, I’ve never heard of this thing. There’s more talks here.” I thought it could be mutually beneficial — as opposed to overtly cram-it-down-your-face viral marketing, which I don’t think anyone wanted to do. The video has all these wonderful science fiction elements, floating cameras and such — was it different writing for an existing event than writing other scifi? No, all scifi starts in some kind of grounded reality that seems familiar, and then the tornado comes and take you into Oz. I feel the same way about a TEDTalk. I know there was some discussion about what the scale of this was going to be. I think that it’s probably out there that TEDTalks are going to be happening in arenas and stadiums in 12 years, but we also thought that a guy like Peter Weyland — whose ego is just massive, and the ideas that he’s advancing are nothing short of hubris — that he’d basically say to TED, “If you want me to give a talk, I’m giving it in Wembley Stadium.” So, he could actually bend the idea of what a TEDTalk is to him. Could you get an arena-level crowd to show up and listen to someone talk about ideas? That to me was the cool step outside the realm that we’re all comfortable knowing. Ken Robinson on the failure of creativity in education. That was my inaugural TEDTalk, and it completely and totally blew my mind, just in terms of how concise and easily and with humor his ideas were presented, and I was just thinking and thinking about it for days. It’s really impacted the way my wife and I decided to educate our kid. Oh! And the one that was given by Elizabeth Gilbert was fantastic. As a professional screenwriter, what do you think is it about TEDTalks that makes it work? I look at myself more as a storyteller than a screenwriter, as pretentious as that may sound, but that’s what really attracts me to TEDTalks. For me the really effective ones are being presented by expert storytellers. I think that people think of a narrative story as something that has a beginning, middle and end — you know, it follows these conventional rules. But that’s not the way that I look at story at all. You can tell a story about the state of education and provide anecdotal evidence, or tell a story about algorithms. That’s what all these things have in common. What’s really great about them is that the person who’s telling the story is the hero of the story. They’re advancing sometimes a very small experience that might have big, far-reaching implications. Or they might have an idea that is nothing short of mythic — like having laptops at every single desk in a third-world country. You’re known for telling stories that are infused with really big ideas. Is there a special challenge in making a story that doesn’t have a tidy end, or doesn’t close in all the normal ways, but maybe does get at a much bigger idea? Yeah. I believe that this idea of story or myth or this thing that Joseph Campbell writes about is sort of an inter-connective spiritual force — like The Force in Star Wars — where it doesn’t matter where you were raised, or what your background is, there are certain elements of story that totally appeal to you. When the blanks aren’t filled in for you, your own imagination tends to fill them in. That’s the storytelling that I’ve always been interested in. I certainly have suffered the slings and arrows of criticism for being too vague at times, but I always give much more credit to this sort of collective consciousness and imagination of the audience watching my story than on my own imagination. And so there’s that idea of leaving some things up for grabs, so that you can personalize the story in your own way. There’s certainly a road that I want you to go down in my storytelling, but if you choose not to go down it, that’s very exciting for me. I feel like great TEDTalks are ones that are a little bit subject to interpretation, that do provoke further conversation — and potentially controversy. They’re the talks that, when you walk out of them, you need to instantly seek out somebody else who heard it to talk more about it, without the presence of the person who presented the idea. At that point, you’re now grafting the idea to your own psychological framework, and that’s what really great story does. It looks like Prometheus is much more idea-driven than other movies in this genre, and that there are some enormous ideas coming. Was it a challenge to weave that into an existing mythos? Look, Ridley Scott birthed this universe over two decades ago. My job was to sit and listen and to channel, in the same way that a medium does. This was about the ideas that he wanted to convey, and he did not want to come back and do science fiction again unless there was some kind of a philosophical construct to it. That’s why Blade Runner, which didn’t really enjoy commercial success when it first came out, is viewed as a classic, and is still being discussed and dissected: there are these fundamental ideas about humanity, our relationship with technology, the presence of a soul — those are all the things that drive Blade Runner. Ridley was reaching for the fruit on the tree of knowledge in the ideas that he was having about this movie. At the same time, there is a line where a movie becomes overtly pretentious. We wanted to stay on the right side of it, because once you cross it, there’s no going back. There had to be a version of this movie that presented big ideas, but didn’t really wallow around and spend all it’s time basking in the glory of it’s own intelligence. We wanted to make an entertaining movie at the same time. Hopefully, it’s a hybrid in tone between the original Alien and Blade Runner. I mean, Inception is a wonderful movie and I love it, but I also love that people are shooting guns at each other and buildings are exploding. You talked about how, when you listen to a good TEDTalk you want to go in another room and talk to someone about it, and I think a lot of that comes from the fact that you relate to the speaker and sympathize with them. Was it a challenge writing a talk for a speaker who is very unlikable in a lot of ways? No. First off, Guy Pearce is a brilliant actor — you basically just write the words and let the actor do what they’re going to do with the words. And Peter Weyland’s role is still a toss-up for the audience. They don’t know what he’s going to be in the movie, or how this talk relates to the movie. I do think that, if someone is going to be saying the things that this guy is saying, then there is a god complex inherent in the speech. Guy Pearce took that and ran with it, and I feel like that gives it a certain degree of entertaining power. What would your TEDTalk be about? Ha! I couldn’t even begin to fathom it. I would think that the obvious route would be to talk about storytelling, but I wouldn’t be able to go where everybody would expect me to go. I would delve into a slightly more surprising terrain, although I have no idea what that means. If I were to do a TEDTalk, I would challenge myself to make people gasp.